“I can’t give them enough praise - and I’m an electrician myself! 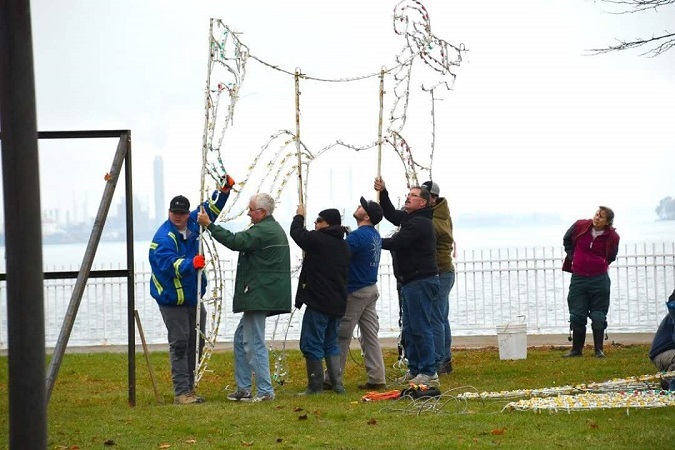 For this type of event, it’s important to have everything done safely..."
On November 25, 2017, the Sarnia Lambton Celebration of Lights opened at Centennial Park. Over 30 volunteers from IBEW Local 530’s Next Gen committee were an essential part in keeping this important tourist attraction running. 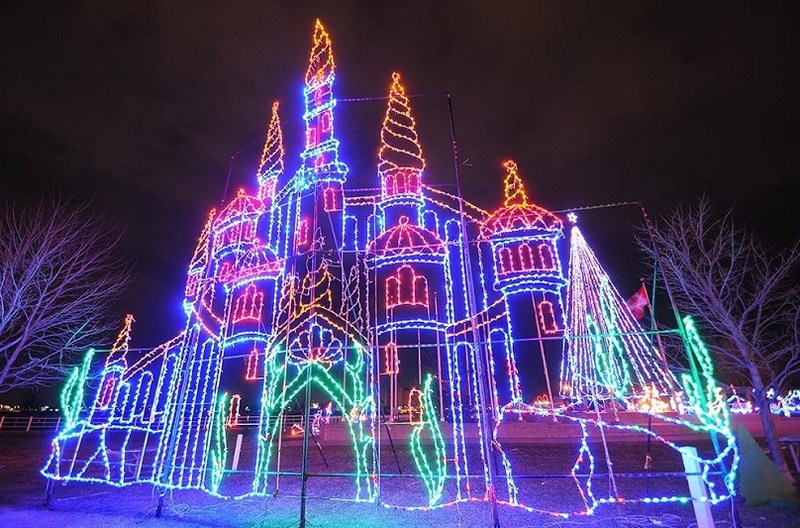 Every year, Centennial Park becomes a holiday wonderland, aglow with 41 displays and over 250,000 lights. The Celebration is a favourite of the community and tourists alike. Visitors are coming from Canada, the US, and even Europe. “One visitor from France left a comment about the festival on our Facebook page,” says Suisham. A part of Sarnia culture, the Celebration has roots in the 1950s, but took root at its current home in 1984. But it takes weeks of hard work by hundreds of community volunteers every year to make the festival happen. “If we didn’t have the volunteers, this event wouldn’t exist,” asserts Suisham. Some initial public and private money helped the festival earn a spot on the list of great tourist events, and as well an Ontario Chamber of Commerce President’s Award in 1988. In spite of this and other awards, after 2000 the festival ran into financial pressures that threatened to keep the lights off for good. It’s a challenge that keeps surfacing, with an additional cancellation scare in 2016. Thankfully, every year the festival has managed to pull together enough volunteer power and sponsor funding to put on a spectacular show. That’s where IBEW Local 530 comes in. 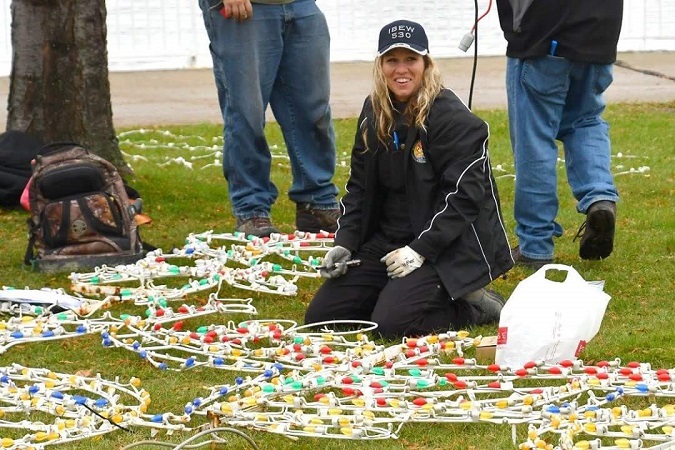 This year, over 30 volunteers helped to do essential wiring and safety checks to help the festival light up on time. Part of the work done by the members includes inspecting and replacing extension cords and other power supply lines, replacing worn out sections of lighting in the displays, and adding brackets to hold up the displays. Some important upgrades were also needed. “As of this year we’re 100% LED, which saves us about 80% of the electricity,” notes Suisham. “I think it’s great that everyone came out to help our community. The Celebration brings in tourists, so it’s great for everyone.” says Renée. Part of the Celebration’s growing pains included making the transition to a safer, permanent power supply system in 2002. Manager Ken McCormack of TJI and a member of the Electrical Contractors Association of Ontario (ECAO) helped with the project. “At the time they had ‘doghouses’ – large temporary power supplies that meant there were cables everywhere as a tripping hazard. We put in a safer, underground solution,” he says. The new system was a custom design, featuring trenches for underground cabling. Three-foot high poles projected above ground so that receptacles could be accessed. Theft of supplies meant that the ambitious deadline was in jeopardy. McCormack remembers that they were working right down to the wire. “For the opening ceremonies that year, Santa Clause was supposed to ceremonially switch on the lights on stage. I was with system designer Tom Collins (owner of Collins-Frazer engineering) in an outbuilding, waiting to hear back on the radio from the installer doing the final steps. We were sweating buckets! Luckily we finished with a minute or two to spare,” he recalls. For McCormack, the final result is a source of pride, and still is. “I feel good every time I drive by the park. Mostly I look for the poles!” he laughs. The opening ceremonies this year included a Christmas Carol concert, a visit from Santa, and a fireworks display. Attendance was estimated at 4,000 to 5,000 people. 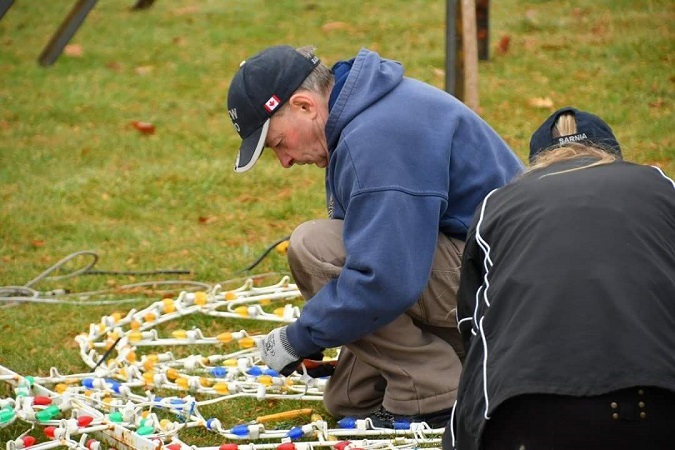 The lights switch on at 5 PM every night, and will remain up until early January 2018, where more volunteers will pitch in to disassemble the displays and store them for another year. 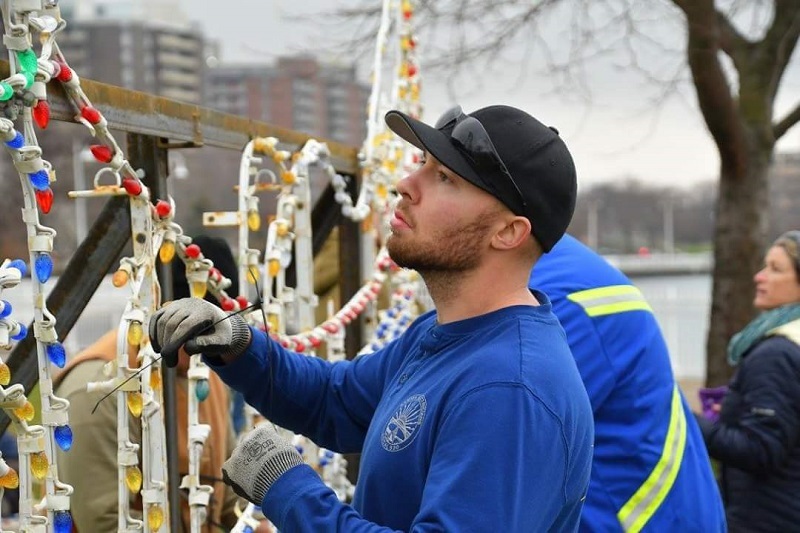 You can visit the Celebration of Lights website and their Facebook page to learn more.